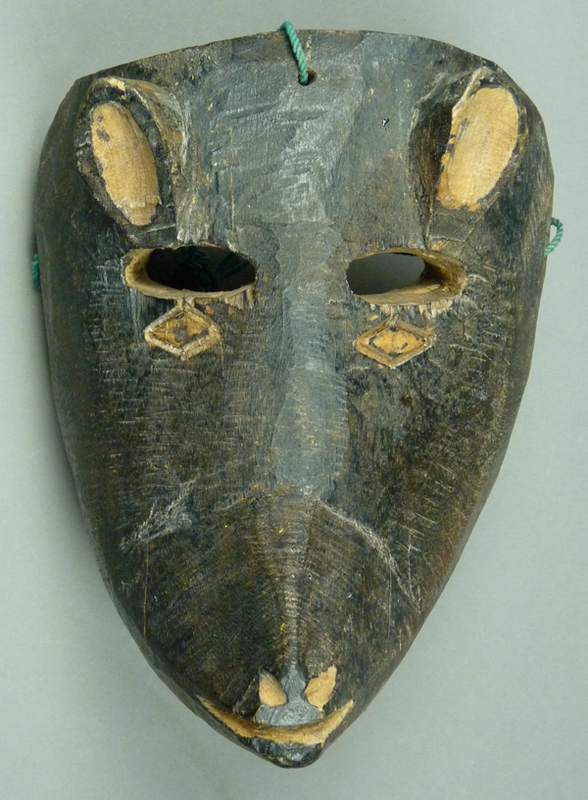 I am uncertain whether the second mask was meant to depict a wolf or a jaguar. 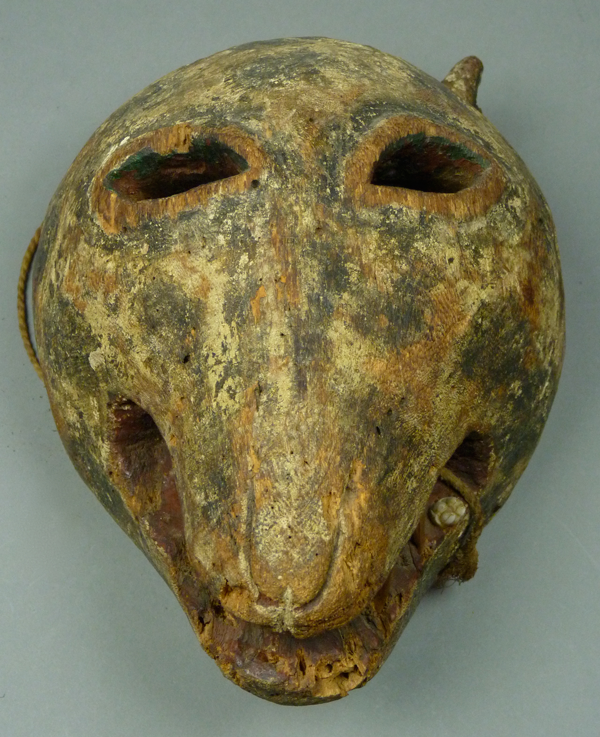 Because this mask has a more elaborate form than several obvious wolf masks to follow, with a broad blunt nose, I believe that it is a Tigre (jaguar) mask. 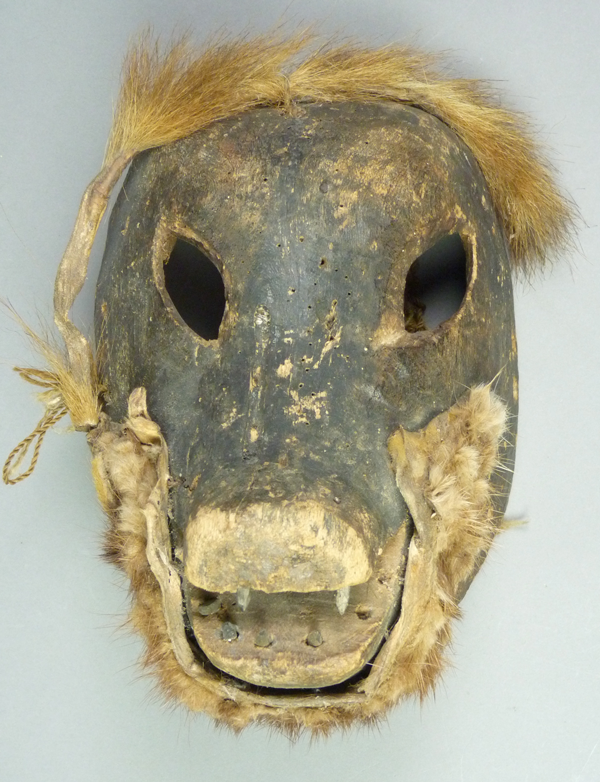 It has applied fur on the forehead and chin. 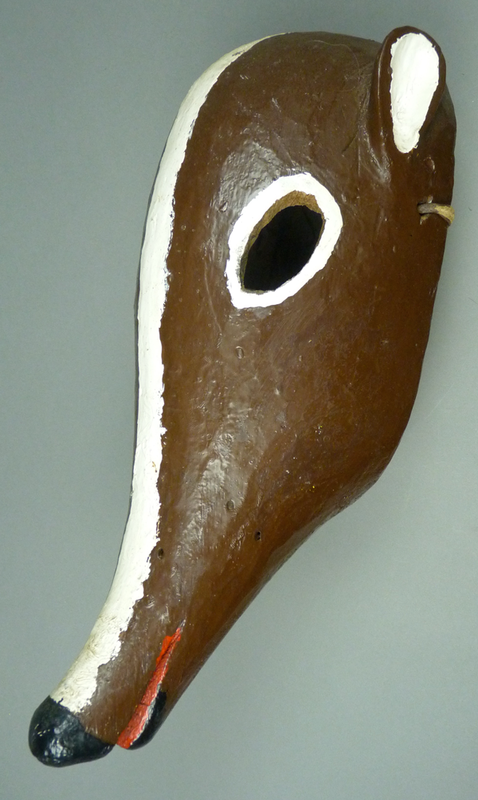 Nails have been inserted in the upper and lower jaws to imitate teeth. 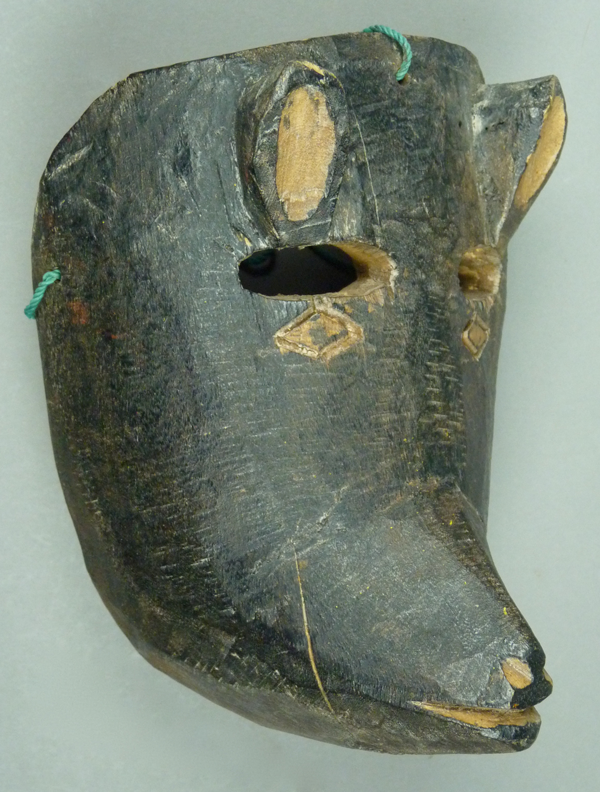 You may have already noticed a typical feature of these animal masks, that the eyes are all of the same shape. This seems to be a regional feature. 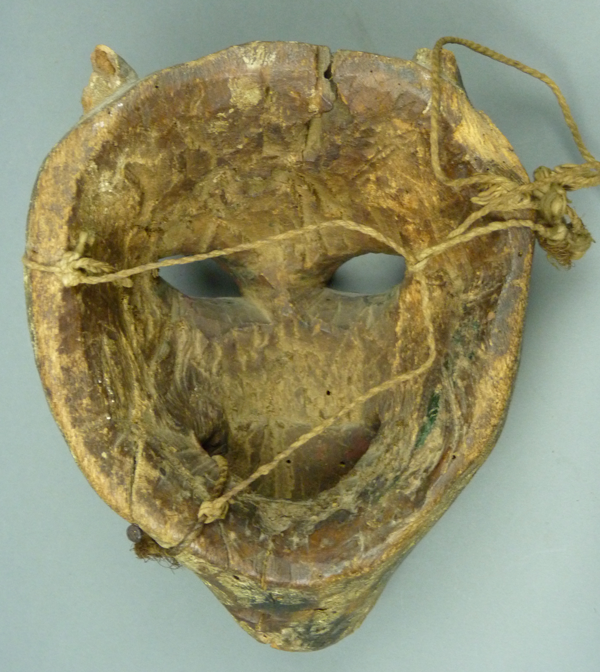 This mask is 8 inches tall, 5½ inches wide, and 4½ inches deep. 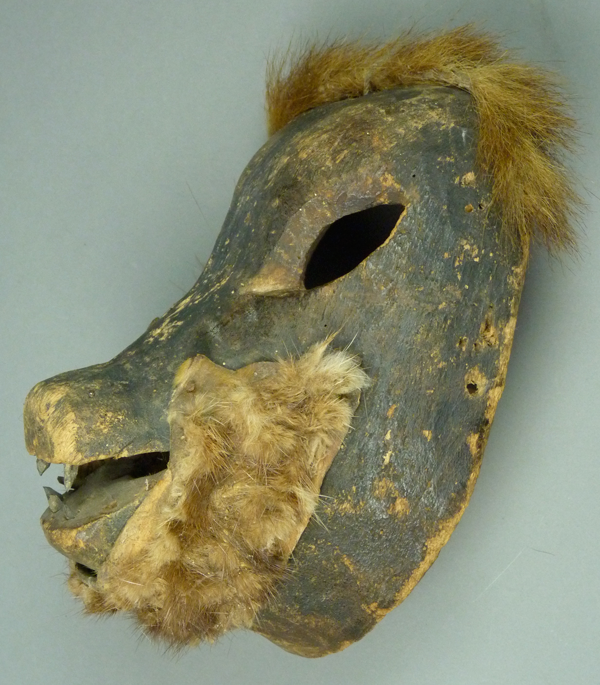 The patina on the back of this mask is dark from extended use. 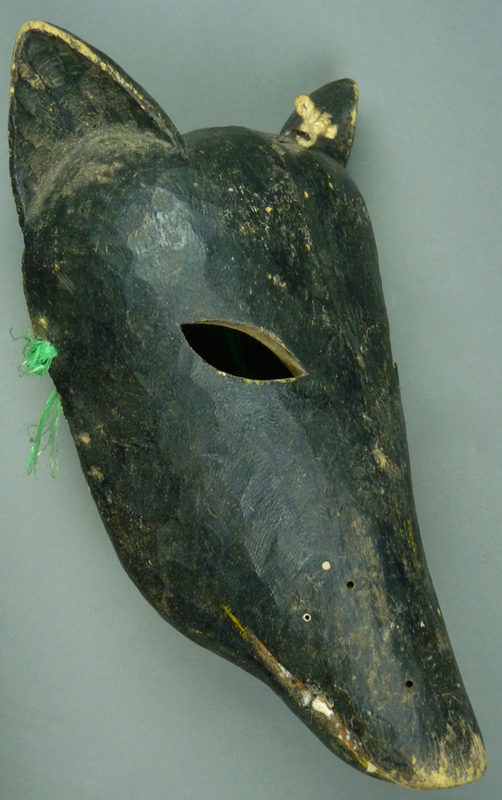 The next two masks depict wolves. 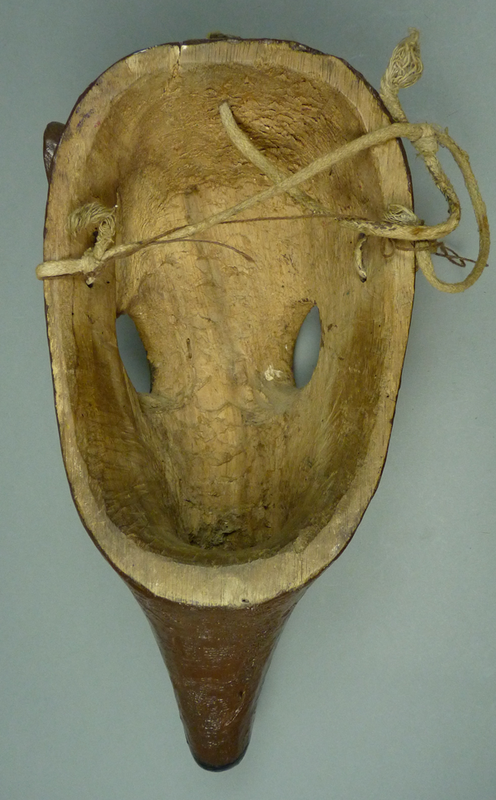 This mask is 9 inches tall, 6½ inches wide, and 3½ inches deep. 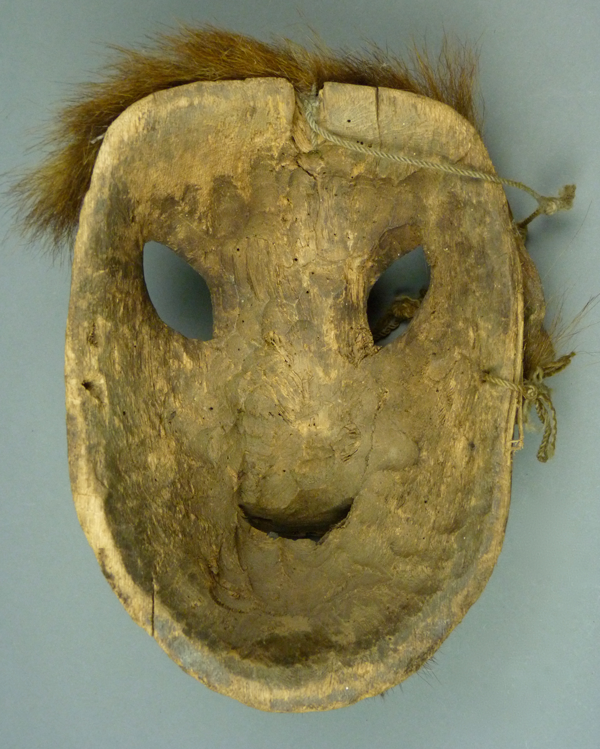 The pinholes on the back of this mask probably reflect that the mask was carved from wood that had been previously infested. 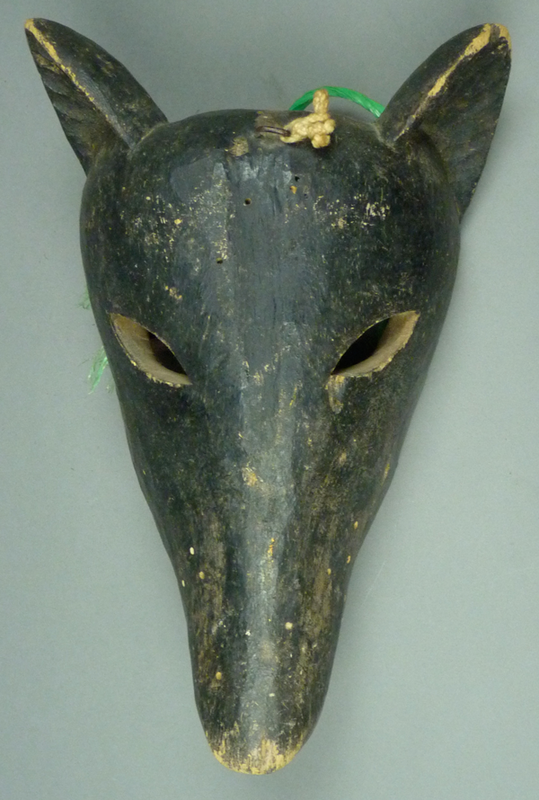 Here is the second wolf. 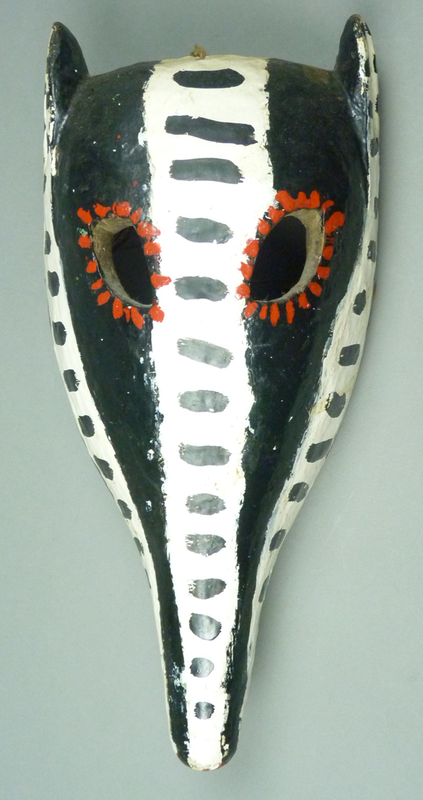 This mask is 10 inches tall, 6 inches wide, and 5 inches deep. 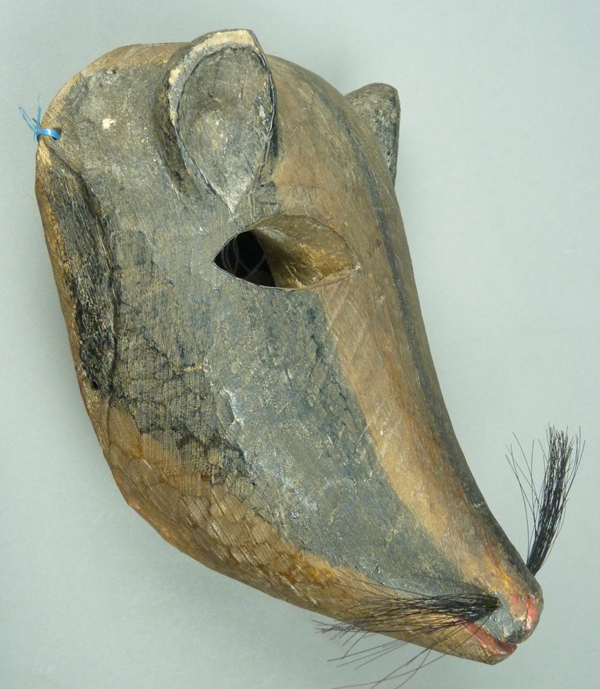 The ears on this wolf mask have the shape that the spotted jaguars ears once had, although those ears were smaller than these. 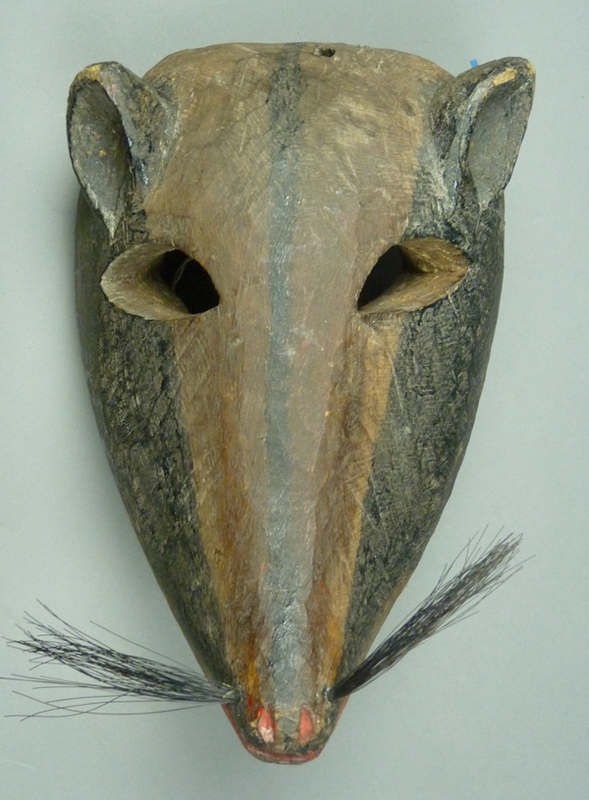 This dramatic striped mask represents a badger or some related animal. 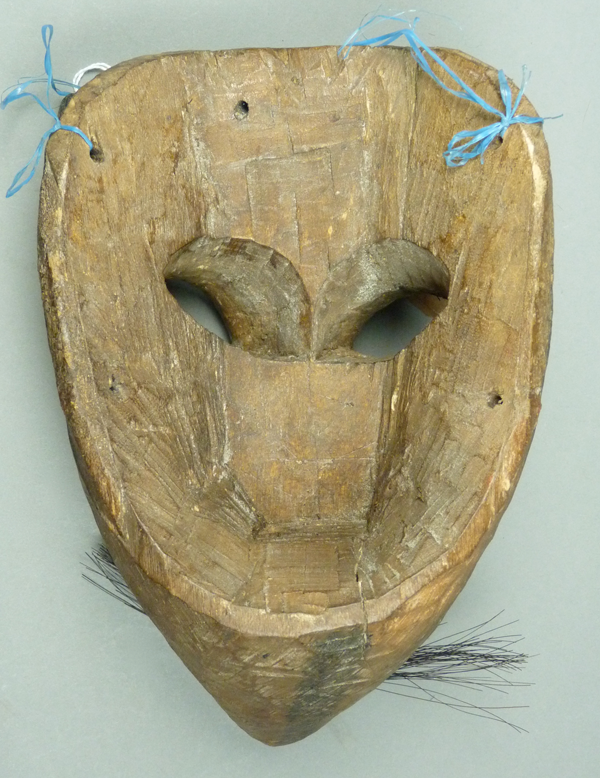 This mask is 12 inches tall, 6 inches wide, and 3¼ inches deep. 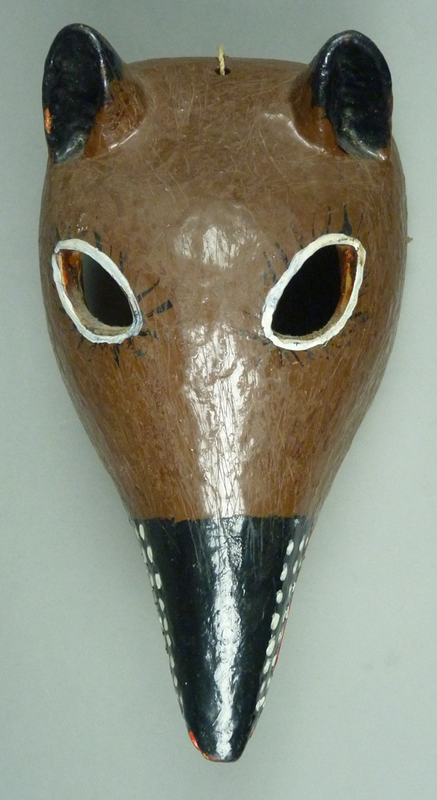 The next mask has a very long nose; perhaps it represents a coati. 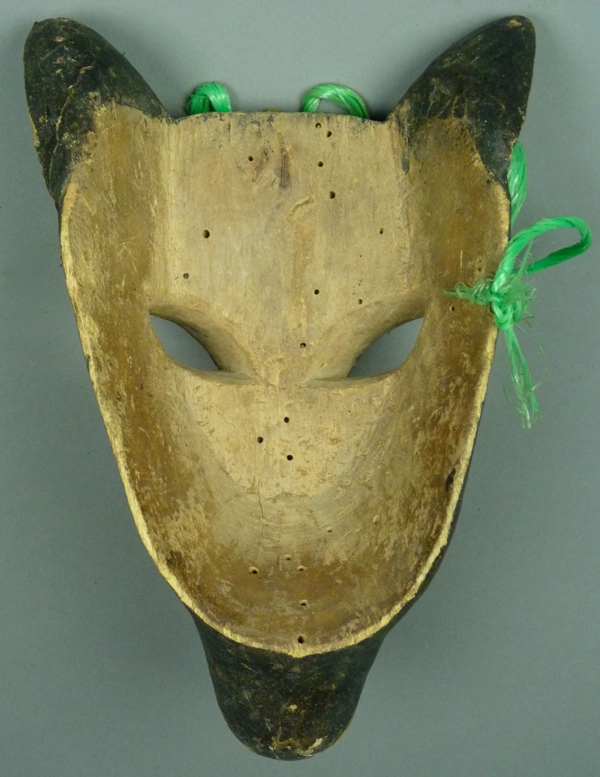 This mask is 15inches tall, 7 inches wide, and 6 inches deep. 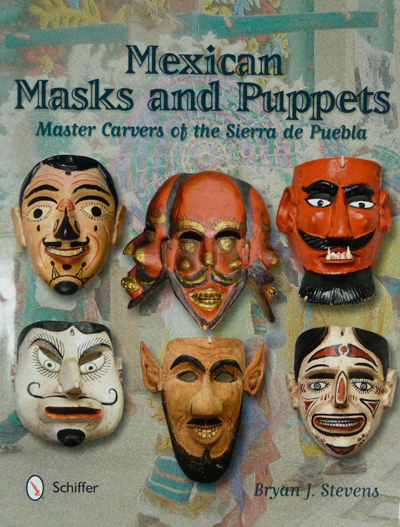 The last two masks are smaller . 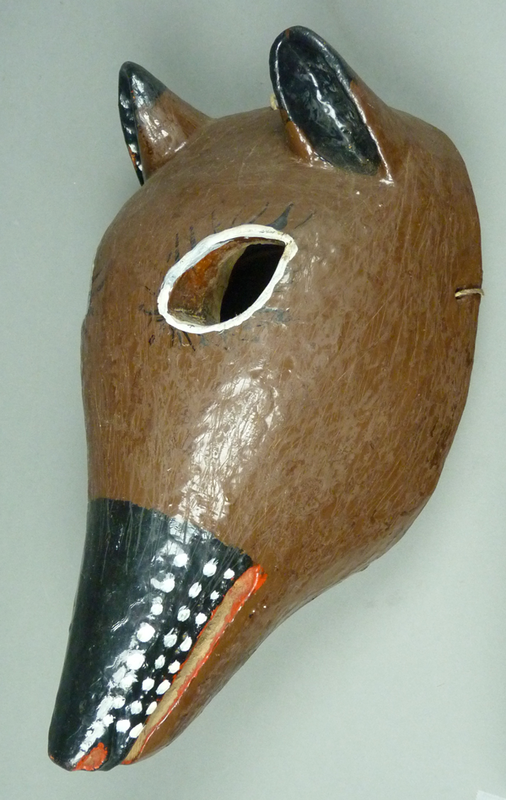 I don’t know which animal is meant to be portrayed by this mask. 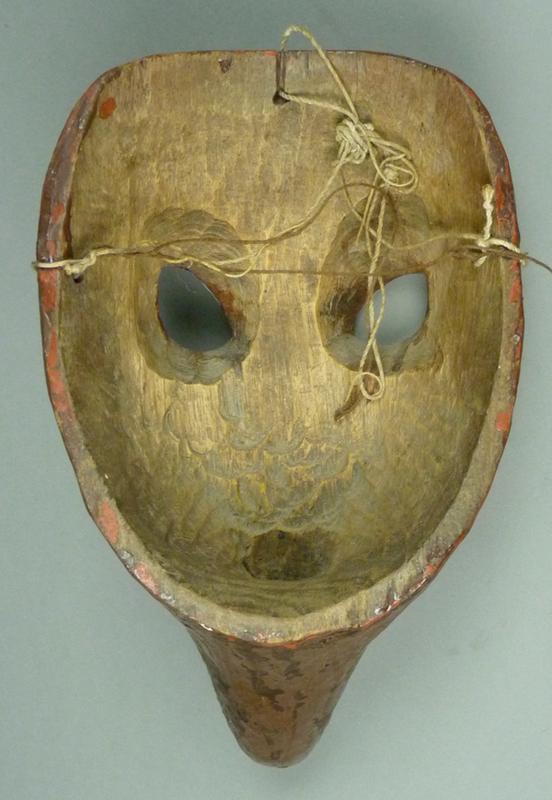 I like the contrast between the vision openings and the carved eyes. 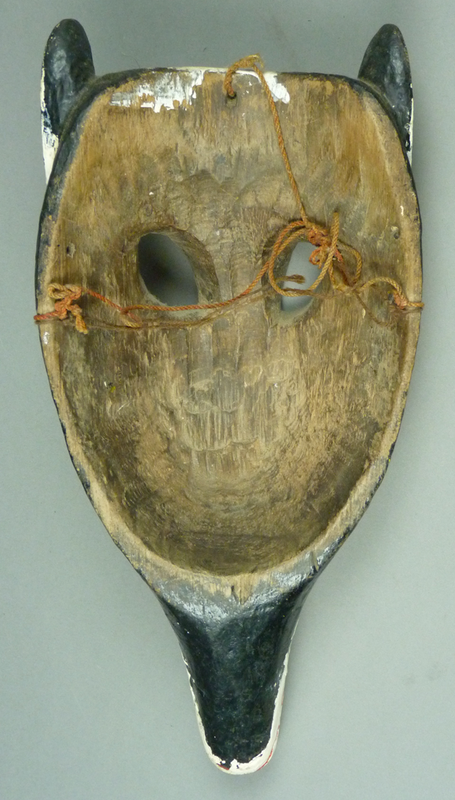 This mask is 7 inches tall, 5 inches wide, and 4 inches deep. 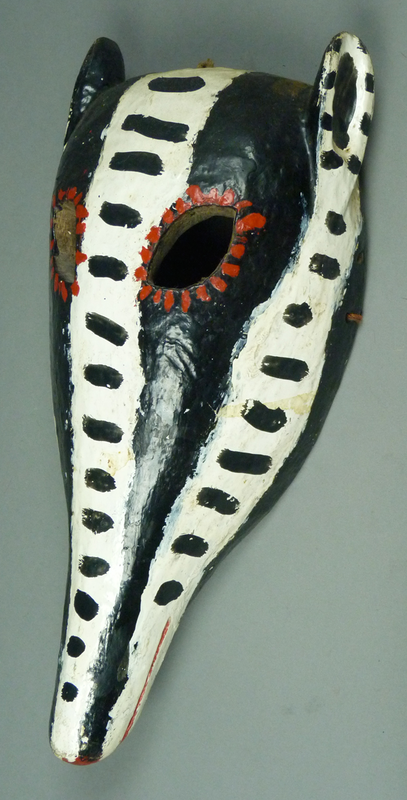 The stripes on this smaller mask make one think again of a badger. 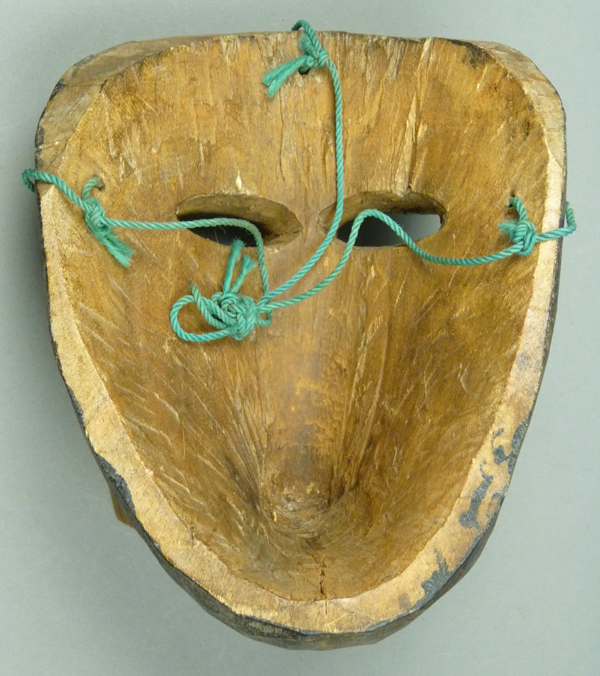 This mask is 8inches tall, 5½ inches wide, and 5 inches deep. 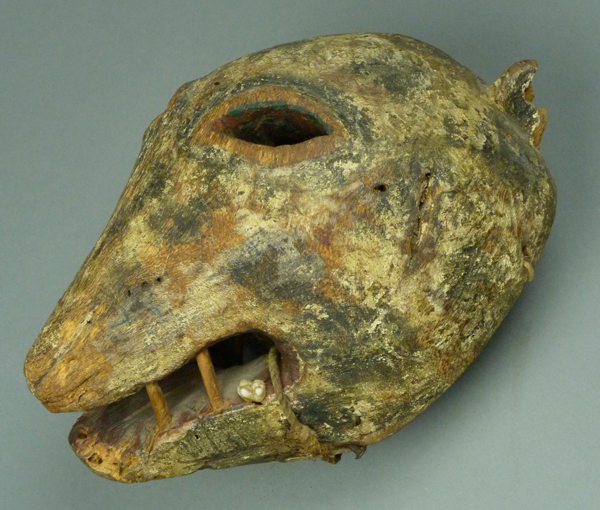 In next weeks’ post I will discuss the Tigre masks and related dances of the Amusgos Indians.